Stampin' Up! Falling Flowers Stamp Set and May Flowers Framelits Dies coordinates beautifully with Lovely Lace Textured Impressions Embossing Folder! This weeks' DOstamperSTARS Challenge was so much fun! I was inspired by the beautiful spring colors of Easter! I was so excited that I wanted to create a dozen of anything with these colors, but I only had time for two! Stampin' Up! Falling Flowers Bundle #142329, Lovely Lace Texured Impressions Embossing Folder #133737, and Blooms & Bliss Designer Series Paper #141654 coordinates beautifully to create any amazingly designed project! I hope you enjoy the 'You Can Create Too' cards as much as I did to create them! Supplies needed for both cards: Stampin' Up! Falling Flowers Bundle #142329, Lovely Lace Texured Impressions Embossing Folder #133737, and Blooms and Bliss Designer Series Paper #141654. Blushing Bride Cardstock #131198, Calypso Coral #122925, Mint Macaron #138337, Very Vanilla #101650, Whisper White #100730, Wild Wasabi #108641, Cherry Cobbler #119685, and Wisteria Wonder #122922. Classic Stampin' pads used Cherry Cobbler #126966, Blushing Bride #131172, Wisteria Wonder #126985, and Wild Wasabi #126959. Die cut sentiment tags with Layering Ovals Framelits Dies #141746. Sentiment tags were stamped with Rose Wonder Stamp Set #140697. To create the bow with Bow Builder Punch #137414. 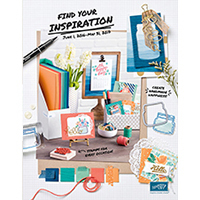 You can find these and more great products in the Stampin' Up! 2016-2017 ANNUAL CATALOG! So, let's get started with the fun! Cut two Blushing Bride Cardstock 5 x 6 1/2 for each card. One Mint Macaron Cardstock 4 3/4 x 6 1/4, and one Cherry Cobbler Cardstock 6 1/4 x 4 1/2. Two Very Vanilla Cardstock 4 1/4 x 6, one for each card. Two Whisper White 4 3/4 x 6 1/4, one for each card. One strip 1 x 12 Blooms & Bliss Designer Series Paper. 1) Emboss two Very Vanilla Cardstock #101650 with Lovely Lace Textured Impressions Embossing Folder #133737 and Blushing Bride Ink. One for each card. 2) For birthday card die cut and stamp flowers and leaves with Falling Flowers Bundle #142329. Die cut pieces were stamped with corresponding color ink and paper. 3) For birthday card cut two strips of Cherry Cobbler Cardstock and Blushing Bride Cardstock 1 1/4 x 6. Die cut sentiment tag with Layering Ovals Framelits #141706, and stamp with Rose Wonder #140697. 4) For wedding card die cut sentiment tag with Layering Ovals Framelits #141706, and stamp with Rose Wonder #140697. 5) For wedding card die cut flowers in Blushing Bride and Cherry Cobbler cardstock with May Flowers Framelits Dies #140276. 6) To create bow on wedding card use Bow Builder Punch #137414 and Blooms & Bliss Designer Series Paper #141654. Note: paper is double sided with two beautiful designs. Mat bow on Cherry Cobbler strip. 7) For inside of both cards stamp sentiment in Cherry Cobbler ink and Rose Wonder Stamp Set #140697 and Falling Flowers Stamp Set #139553 for both cards. Enjoy these easy to make cards! SHOP NOW the 2016/2017 ANNUAL CATALOG!